The Palestinian prisoner Mansour Muqada, from Salfit in the occupied West Bank, has been on hunger strike for 18 consecutive days. Muqada’s hunger strike came in protest against Israeli deliberate medical negligence policy, family sources said. 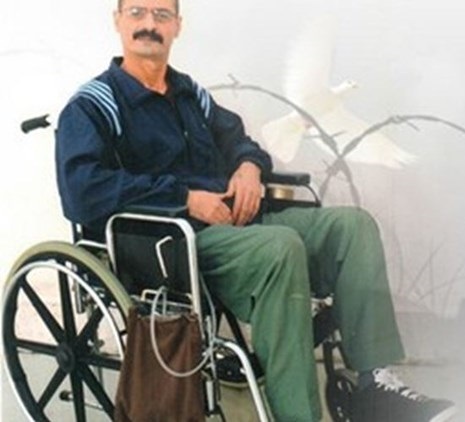 Mansour Muqada, one of the most seriously ill Palestinian political prisoners, was arrested in 2002 and sentenced to life prison term. During his arrest, he was shot with three bullets, causing him partial paralysis. He has a “plastic stomach,” and uses colostomy bags for excretion as parts of his intestines have been removed. His family expressed hope that their son will be released in any new prisoner swap deal. The Israeli policemen arrested six youths including a young woman and a child in occupied Jerusalem. Local activist Amjed Abu Assab affirmed that Bassel Abu Diab was arrested from his home and taken to Maskoubiya detention center. A 9-year-old child was also arrested while playing outside his family house in Silwan town for allegedly being involved in stone-throwing attack. Two unidentified detainees including a young woman were rounded up in al-Tur neighborhood east of the occupied city. 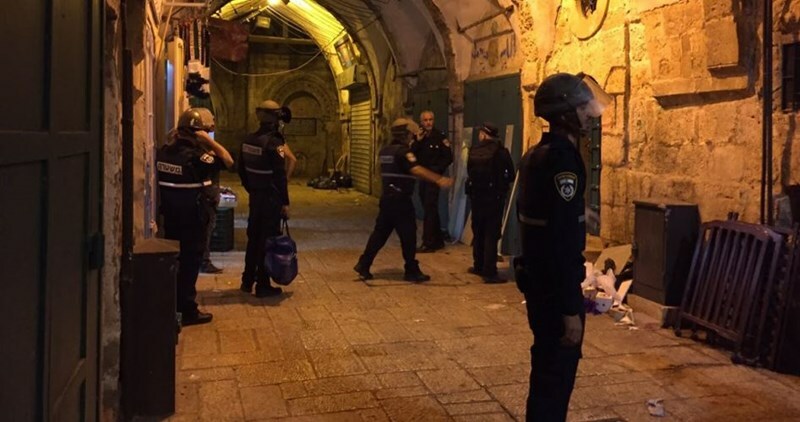 Two more Palestinians from within the Green Line were detained in al-Aqsa Mosque. All the detainees were taken to Israeli detention centers for investigation. Israeli soldiers kidnapped, on Wednesday at dawn, four Palestinians in Jerusalem and Hebron, in the occupied West Bank, searched homes and kidnapped four Palestinians, including one who is physically-challenged. The Palestinian Prisoners Society (PPS) has reported that the soldiers invaded several Palestinian homes in Jerusalem, and kidnapped Bassem Zghayyar, and a physically-challenged resident, identified as Morad Da’na. 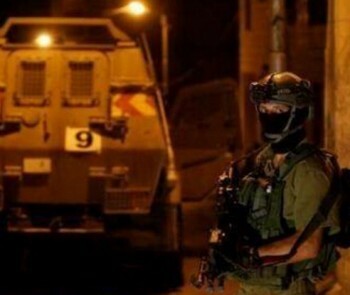 In the southern West Bank district of Hebron, several army vehicles invaded the Shiokh town, north of the Hebron city, searched a few homes and kidnapped Sami al-Hasasna, 48, and Mohammad Yousef al-Warasna, 18. The soldiers also searched a few homes in the town, and interrogated many Palestinians, in addition to installing several military roadblocks. Israeli soldiers kidnapped, on Tuesday evening, two Palestinian siblings from their home, in the al-‘Eesawiyya town, in the center of occupied Jerusalem. 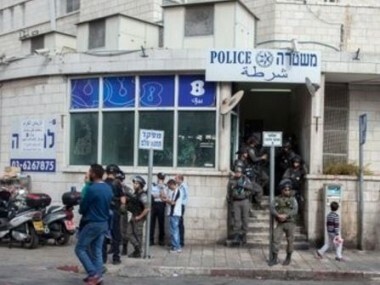 The Wadi Hilweh Information Center in Silwan (Silwanic) said the soldiers invaded and searched many homes in the town, interrogated many Palestinians and kidnapping two siblings identified as Jalal and Bilal al-Qaisi. In related news, the Jerusalem District Court order four detained Palestinian children under further detention and interrogation until next June. The court also ordered Qussai Dandees under further detention until May 1, while Amir Dirbas is supposed to be sent to court on Thursday. 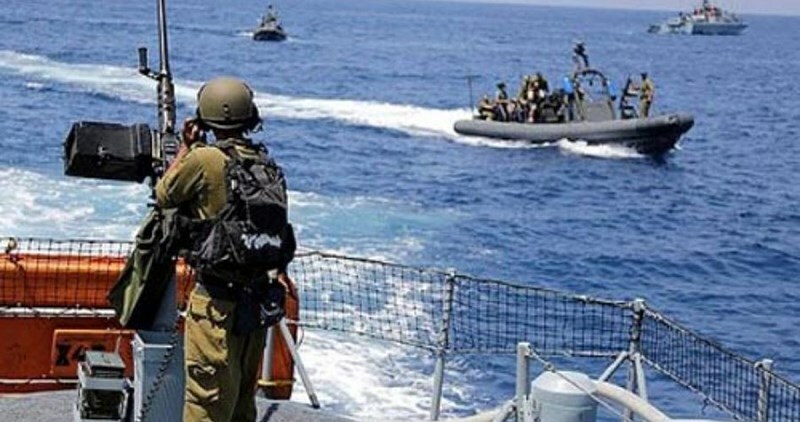 Israeli naval forces detained Tuesday night two Palestinian fishermen off the coast of Beit Lahya north of Gaza Strip, while fishing boats were targeted while sailing off Nuseirat refugee camp in central Gaza. Palestinian media sources identified the two detained fishermen as Aahed and Munis Zayid. Israeli forces also confiscated their fishing boat before taking them to an unknown location, the sources added. Meanwhile, Palestinian fishing boats came under fire while sailing off the coast of Nuseirat refugee camp in central Gaza Strip. No injuries were reported during the attack. However, the fishermen were forced to leave the sea. The IOF carries out attacks on land and at sea of the Gaza Strip on a near-daily basis, often putting Palestinian fishermen and farmers and their livelihoods at risk. The Israeli occupation forces (IOF) overnight on Monday and at dawn on Tuesday kidnapped Palestinian civilians from the occupied West Bank and occupied Jerusalem. The IOF rolled into al-Khalil, in the southern West Bank, and kidnapped 19-year-old Abdul Rahman al-Saleebi from Beit Ummar town. The campaign culminated in the abduction of another Palestinian youth, identified as Mustafa Hamad, from the Qalandiya refugee camp, in Occupied Jerusalem. Overnight on Monday, an Israeli special unit kidnapped the Palestinian youngster Fadi Darwish from Jerusalem’s town of al-Issawiya. Local sources also kept record of the abduction of three Palestinians from Nablus city. Meanwhile, an Israeli undercover unit stormed a café in al-Issawiya late on Monday evening and kidnapped a Palestinian youth. 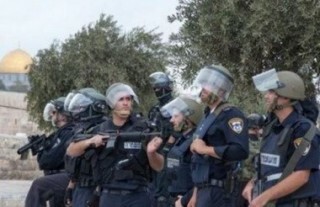 The IOF also rolled into Alezariya town, in eastern Occupied Jerusalem, and came down heavily on Palestinian commuters. A number of Palestinian youths were detained and provocatively inspected by the IOF in Jabal al-Mukbir area. The occupation army reportedly tightened grip at Israeli military checkpoints pitched across Occupied Jerusalem. The Palestinian captive Yusri al-Masri, 31, who suffers from cancer, complained about Israeli Prison Service (IPS) procrastination in providing him with treatment leaving him in danger of losing his eyesight. 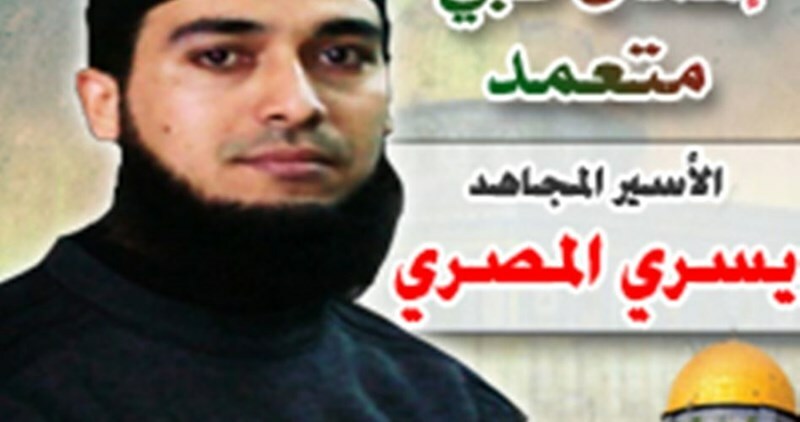 Prisoner Masri told Muhjat al-Quds foundation for prisoners and martyrs, in a letter on Monday, that he has been suffering from retinal detachment resulting in poor vision which may lead to complete vision loss. He was transferred to hospital more than once over two years with no real treatment, the prisoner pointed out in his letter. Detainee Masri underwent a surgery to remove tumors in the thyroid over two years ago, but the tumors returned back and spread in his body because of the lack of follow up medical care after the surgery and not sterilizing the infected areas. Three new tumors have recently been discovered in the liver. The patient captive appealed to human rights organizations and societies concerned with prisoners affairs especially the Red Cross to urgently intervene to pressure Israeli occupation authorities to release him immediately so that he can pursue treatment outside jail. Masri elaborated that pressuring Israeli authorities at the current time is of a key importance to him since he will be brought to court a few days later to decide on his appeal for release since he spent two thirds of his sentence. Prisoner Masri is from Deir al-Balah town in Central Gaza. He was arrested on June 09, 2003 and sentenced to 20 years. He is affiliated with the Islamic Jihad Movement. The Israeli police on Monday released the Islamic Movement leader Sheikh Majdi Khatib hours after they kidnapped him from his family home at the same time as they held two other leaders in custody. Sources close to the Islamic Movement in 1948 Palestine said the police released Sheikh Khatib under conditions, including banning him from al-Aqsa Mosque until May 2. Investigation into his pro-Aqsa activism and his involvement in peaceful vigils at al-Aqsa has been underway. Meanwhile, the Israeli police extended the remand of Sheikh Osama al-Akabi, member of the Islamic Movement in Negev, a few days after he was released from Israeli custody. The police also arrested the Islamic Movement activist Dahud Asla, from Arraba town, and accused him of affiliation to an outlawed organization. A few months earlier, the Israeli government blacklisted the Islamic Movement along with 23 charity organizations as illegal groups based on the 1945 British-mandate emergency law. 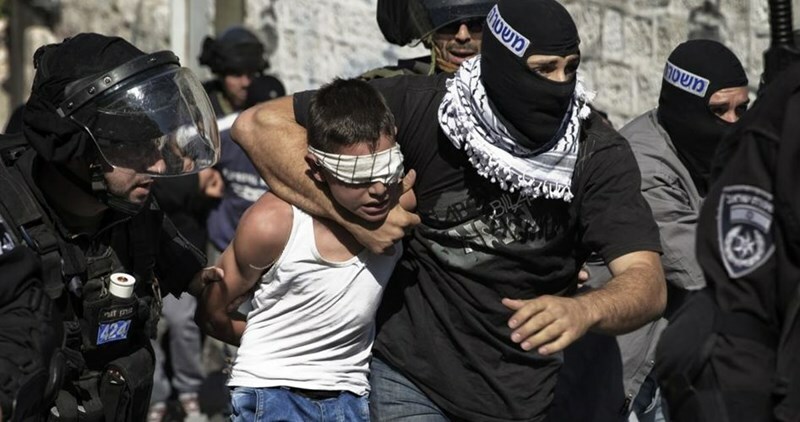 The Wadi Hilweh Information Center in Silwan (Silwanic) in occupied Jerusalem, said the soldiers invaded the town, south of the Al-Aqsa Mosque in Jerusalem, and kidnapped a child. Silwanic stated that the soldiers kidnapped Adam Jibreel Salaima, only 12 years of age, while heading to school in Ras al-‘Amoud neighborhood. The soldiers also chased many schoolchildren in Ayman al-‘Abbassi Street, pushing most of them to seek shelter in nearby Palestinian homes. Adam was kidnapping after the soldiers invaded some of these homes. Silwanic said that dozens of soldiers invaded the town, and were extensively deployed in various neighborhoods while scores of settlers, living in a number of illegal outposts in the town, celebrated in the streets. In addition, the soldiers harassed many children walking to school, in the Schools Street, in Ras al-Amoud, and fired sound bombs and rubber-coated steel bullets. In related news, Israeli media sources said a security force of Yamam Unit, arrested on Tuesday at night, three Palestinians from the northern West Bank district of Nablus. They added that the three Palestinians were “illegally staying in Jerusalem”, and were allegedly “planning an attack in the city”. They were moved to a detention center for interrogation. Israeli soldiers kidnapped, on Monday evening, an elderly Palestinian man, a woman and two young men, in the town of al-‘Eesawiyya, in occupied Jerusalem, and took them to interrogation centers in the city. 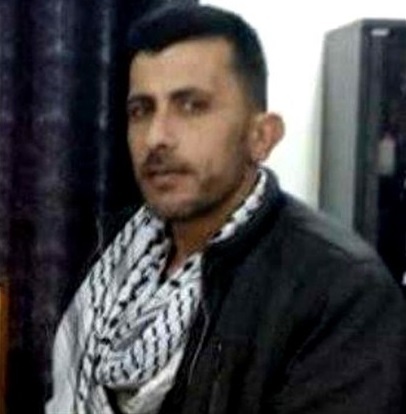 Mohammad Abu al-Hummus, member of the Follow-Up Committee in al-‘Eesawiyya, said dozens of soldiers invaded the town, and kidnapped an elderly man, identified as Riyadh Mheisin, and a young man, identified as Ahmad Yahya Abu al-Hummus, from their homes in Mheisin neighborhood. He added that the soldiers also kidnapped a Palestinian woman, identified as Safa’ Jarrah Nasser, from Abu Ryala neighborhood. The invasion and abductions led to clashes between the soldiers, who fired rubber-coated steel bullets and gas bombs, and local youngsters, who hurled stones and empty bottles on them. In addition, undercover soldiers of the Israeli army infiltrated, late on Monday evening, into a coffee shop in al-‘Eesawiyya, and kidnapped a young man, identified as Fadi Darweesh. The undercover forces have been invading homes and stores in the town, every night for the last several days, in addition to frequent abductions and assaults targeting Palestinian youngsters. In related news, several army vehicles invaded the al-‘Ezariyya town, southeast of Jerusalem, stormed and searched many homes and shops. The soldiers also fired many flares in Jabal al-Mokabber neighborhood, southeast of Jerusalem, and briefly detained a young man in the Shayyah area. The Israeli occupation forces (IOF) on Monday evening kidnapped a Palestinian young man at a military roadblock at the entrance to Nabi Saleh village, northwest of Ramallah. Local sources said that 25-year-old Ali al-Rimawi was detained at the roadblock for several hours before he was transferred to an undeclared place. The Israeli army uses hundreds of checkpoints and temporary roadblocks set up throughout the West Bank as traps to kidnap and abuse Palestinian citizens. The Israeli Prison Service (IPS) returned the Palestinian hunger-striker Sami Janazra to Ayla solitary confinement in Beersheba after he spent several days in Soroka Hospital. Lawyer for Palestinian Prisoners Society (PPS) Amjed al-Najar told the PIC reporter that Sami Janazra, who has been on hunger strike for 54 days, suffered severe health complications on Monday. Al-Najar affirmed that he was notified from Janazra’s lawyer that he had been brought back into Ayla solitary confinement after spending three days in hospital. The lawyer pointed out that Janazra has recently been subjected to an exhausting and degrading transfer despite his serious health condition. 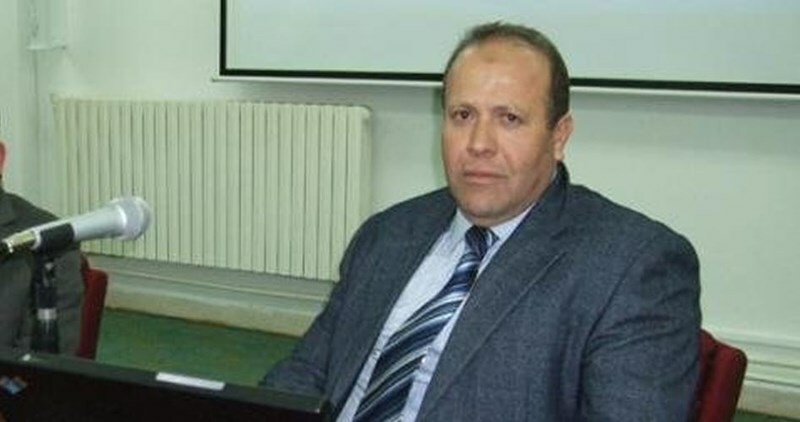 Janazra, a 43-year-old father of three children and a resident of al-Khalil, launched his hunger strike on March 3 protesting his administrative detention according to which he is held without charge or trial. The Israeli occupation army on Sunday evening released the two fishermen who were kidnapped earlier on the same day as they were fishing off the northern coast of Gaza. The fishermen, Orans Sultan and his brother Ibrahim, were rounded up by naval forces as they were working within four six nautical miles off the shore of Beit Lahiya town, north of Gaza. Their boat was also confiscated and towed to Ashdod port near the northern coast of Gaza. 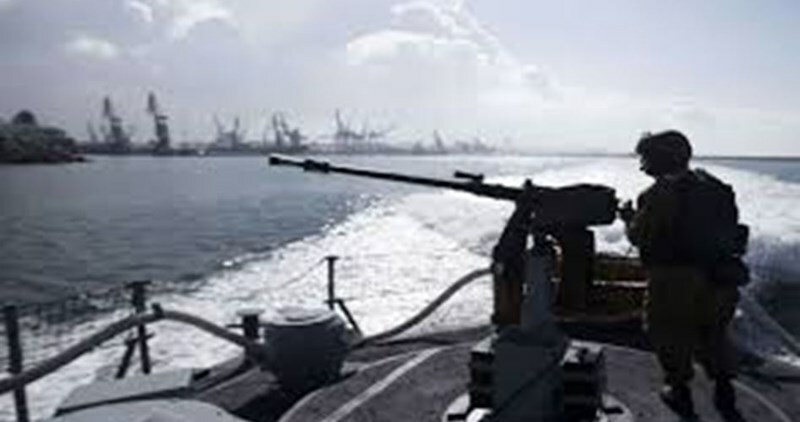 The Israeli navy targets Gaza fishermen and farmers almost on a daily basis, in a flagrant breach of the ceasefire agreement reached between Israel and the Palestinian resistance in August 2014. In accordance with Article 3 of the Universal Declaration of Human Rights and Article 6 of the International Covenant on Civil and Political Rights, to which Israel is a party, such attacks against Palestinian fishermen and farmers in Gaza constitute a violation of international humanitarian and human rights law, especially the right to life and security of the person. 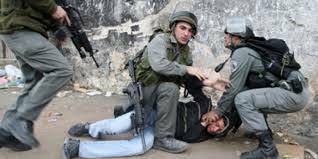 The Israeli Occupation Forces (IOF) arrested at dawn Monday seven Palestinians from different areas of the West Bank and Jerusalem. Israeli Army said that four “wanted” Palestinians were arrested from their houses in al-Khalil for being affiliated with Hamas Movement. The PIC reporter affirmed that two ex-prisoners, who were released during Shalit Swap deal, were among the reported detainees, while different neighborhoods were violently stormed. In occupied Jerusalem, Israeli police forces arrested two brothers including a minor from Silwan town south of al-Aqsa Mosque. A Palestinian academic was also arrested at a military checkpoint erected at the entrance to Nabi Salah town west of Ramallah. On the other hand, local sources said that Israeli forces stole at dawn today an amount of money and Jewelry from a slain Palestinian’s house in Beit Ummar town north of al-Khalil. Local activist Mohamed Awad said that IOF soldiers violently stormed and searched the house before confiscating 1000 US dollars and 1500 grams of jewelry. The house belongs to the slain Palestinian Ibrahim Awad’s family, he pointed out. Awad’s mother was subjected to strip search more than once during the raid. Ibrahim Awad died on October 10, 2015 of injuries he sustained on October 8 after Israeli forces opened fire at Palestinian protesters in Beit Ummar town. 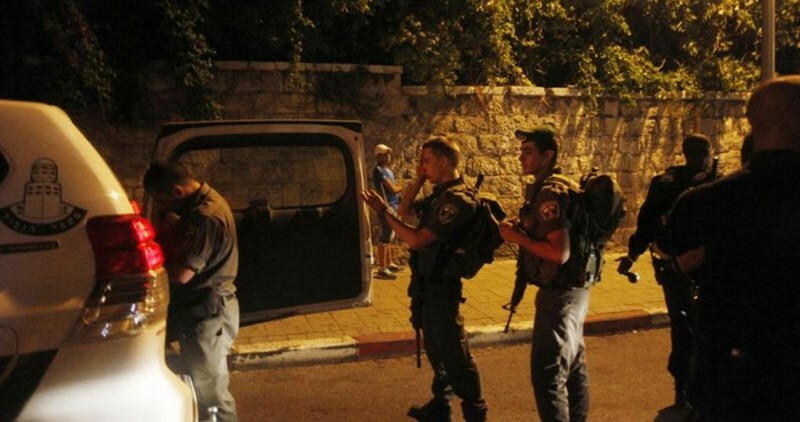 Israeli soldiers kidnapped, late on Sunday at night, two underage siblings, after invading and violently searching their home, in Silwan town, in occupied Jerusalem. The soldiers also invaded the Schools Street, in al-Khader town, south of Bethlehem. The Wadi Hilweh Information Center in Silwan (Silwanic) said many soldiers stormed the home of Yousef Abu Diab, in Ein al-Louza neighborhood, and kidnapped his two children, identified as Mo’taz, 15, and Mohammad, 17. Silwanic added that dozens of soldiers invaded the neighborhood, and clashed with local youngsters, who hurled stones and empty bottles on them, while the army fired many rubber-coated steel bullets, gas bombs and concussion grenades. The youngsters also used fireworks against the invading Israeli army vehicles, Silwanic said, and added that the soldiers assaulted the two kidnapped siblings, causing various cuts and bruises. On Monday morning, the soldiers kidnapped one Palestinian in the southern West Bank city of Hebron, and confiscated gold and cash from an invaded home in Beit Ummar town, north of Hebron. Also on Monday morning, the army soldiers closed the main entrance of the Hebron Emergency Center, run by the Hebron Health Committees, by placing concrete blocks, completely sealing it, and deployed dozens of soldiers on its rooftop. In the West Bank district of Bethlehem, the soldiers invaded the School Streets, in the al-Khader town, south of Bethlehem city, and tried to invade some schools. 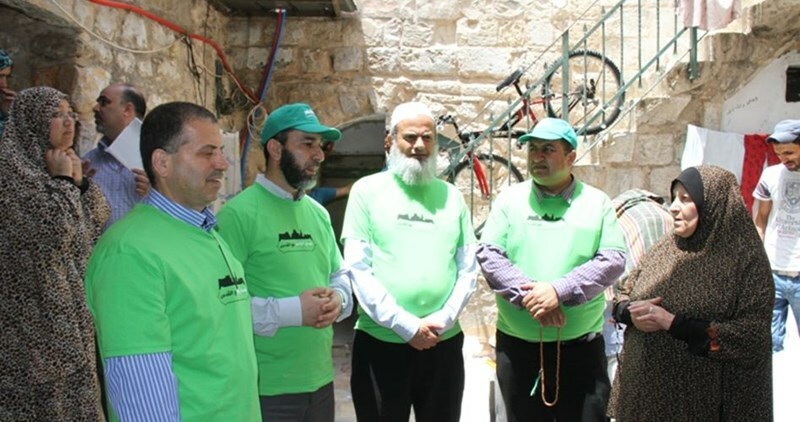 The teachers managed to accompany many students from the center of the town to their schools, with the help of volunteers from international churches. The Israeli occupation forces (IOF) on Sunday kidnapped Palestinian astrophysicist Imad al-Barghouthi at Nabi Saleh checkpoint, northwest of Ramallah. Local sources told the Palestinian Information Center (PIC) that Israeli soldiers at the checkpoint detained Barghouthi and took him to an undeclared place. Barghouthi, 53, is a professor of theoretical space plasma physics at al-Quds University and has worked for some time at NASA in the United States. His scientific work is widely published internationally in academic journals. The IOF already kidnapped him on December 6, 2014 at al-Karama border crossing as he was trying to cross to Jordan in order to attend a scientific conference in the United Arab Emirates. At the time, he was reportedly interrogated for participating in a mass march against Israel's war on Gaza.